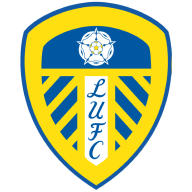 Tyler Roberts scored a double as Leeds continued their unbeaten start to the Sky Bet Championship campaign with a comprehensive 3-0 victory over struggling Preston. The Wales international endured a frustrating start to life at Elland Road after missing the second half of last season through injury. But the 19-year-old showed his potential as Leeds exacted swift revenge for their Carabao Cup loss to Preston - their only defeat so far under Marcelo Bielsa. After captain Liam Cooper had given Leeds a deserved first-half lead, Roberts netted his first United goal with a sublime lob and headed home a second eight minutes from time to ensure the West Yorkshire club remain top after eight games. 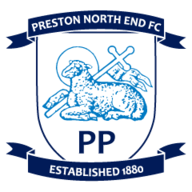 Preston scored inside the opening two minutes of their cup win three weeks ago and they made another positive start. Callum Robinson saw a curling effort from the edge of the penalty area tipped round the post by Bailey Peacock-Farrell but that was as close as the visitors came in the first half as Leeds took control. Spanish playmaker Samuel Saiz got the hosts going with a shot that was deflected off target and Mateusz Klich dragged a golden opportunity wide when the impressive Jack Harrison found him in acres of space. Leeds had a scare when they were forced to scramble the ball away from danger after Peacock-Farrell failed to gather Tom Barkhuizen's low cross. But that proved to be only brief respite for Preston as United continued to get in behind their defence. Ezgjan Alioski thought he had broken the deadlock when he rounded Declan Rudd to finish, only to be denied by the offside flag. Leeds kept pressing for the opener and they got it in the 37th minute through centre-back Cooper. After Josh Earl had denied Luke Ayling a tap-in at the back post, Barry Douglas swung in the corner and Cooper stooped to head home despite the efforts of Rudd and Daniel Johnson. 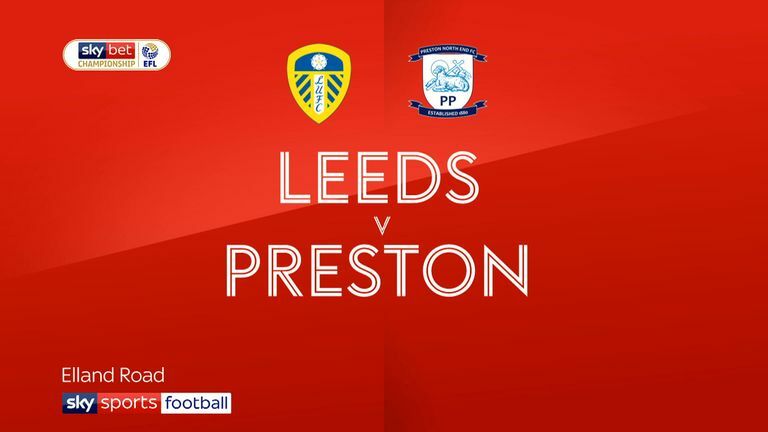 Preston were on the ropes and Leeds would have been disappointed to have not doubled their lead before the break, Klich failing to find the target on another one-on-one and Rudd saving Alioski's firm strike. Josh Horrop curled a shot over immediately after the restart as Preston came out firing and Leeds had a huge left-off when Robinson was denied by the offside flag after finishing at the back post. Preston continued to threaten but were unable to carve out a clear-cut chance and Leeds almost caught them on the break when Harrison shot against a post after being played in by Saiz's delightful through ball. North End failed to heed the warning and were out of the match in the 73rd minute when Roberts sprung the offside trap and ignored Alioski in support to lob Rudd in confident fashion. Leeds were rampant and they rounded off an impressive performance when Klich found space on the right of the box and sent over an inch-perfect cross that was nodded in by Roberts. Marcelo Bielsa: "[Roberts] started the pre-season work later than others. He has done many efforts. I asked him to play as a right winger and heard he liked to play as a number nine. Circumstances offered him a place in the team in the position where I thought he didn't have to play. "In the game against Millwall he had four chances to score and today scored two goals so it's an interesting performance. He's a very young player and I'm very happy for him. He deserves it." Alex Neil: "I'm obviously naturally disappointed to come away losing the game 3-0. We started the game really well and were on top. Then we gave the ball away on a couple of occasions and that got their tails up. Their movement is good. We high pressed well in the cup, which is a high-risk strategy, and managed to beat them on the back of it. "But today we didn't do enough going forward when we had the ball to damage Leeds. When you do that when you play good teams you're going to get hurt at the other end. We do have to get ourselves out of the rut we're in at the moment."